Golf as we know it began on an island and has had an energizing effect on countless cays ever since. From Hawaii to the Caribbean, the Mediterranean Sea to the Tasman, the Sea of Japan to Long Island Sound, the game has long been flush with island fever. So which island boasts the best golf? That was the question posed to the writers at The A Position (theaposition.com), the web’s top site for golf and travel. Their choices cover the earth. The finest golf islands are found in both hemispheres and numerous time zones. They are as large as an entire continent, as small as a single green. 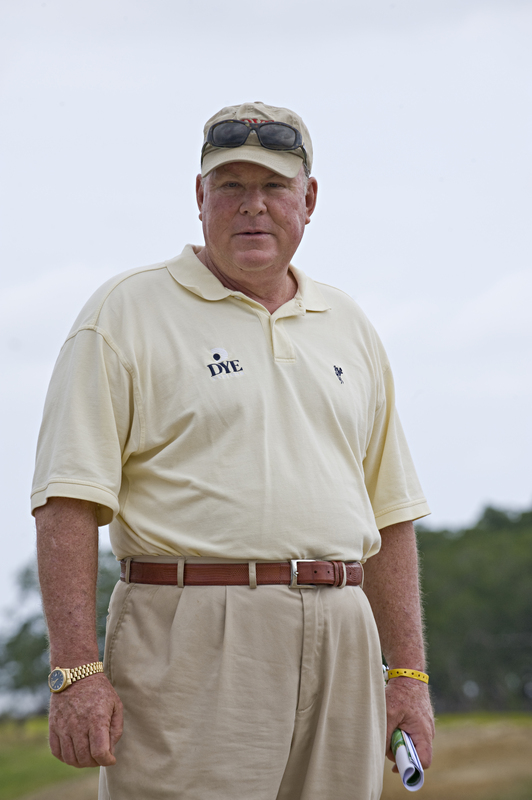 Adding his isle’s worth is architect Perry Dye (right), son and frequent collaborator of the legendary Pete Dye. They recently completed an exciting new layout on Perry’s island of choice, Roatan off the coast of Honduras, where he is just as likely to be found wielding a fishing rod as a golf club. Following are our writers’ choices of the best golf-rich bits of coral, sand, rock, lava, marsh, mountain, and ice. Every one of these islands truly is as golf treasure. Sun and sand may be the default attractions of generic island allure, but they look pallid next to the explosion of autumn colors in Nova Scotia’s Cape Breton Highlands. The golf is generally more interesting there, too. It includes Highlands Links, by Canadian legend Stanley Thompson; Bell Bay, by modern master Thomas McBroom; the brand-new Cabot Links (right), designed by Rod Whitman, with ocean views from every hole and a burgeoning reputation; and a half-dozen other playable, scenic layouts. Golf is, as usual, a great way to admire the Highlands’ phenomenal landforms, but it’s not the only way. The 189-mile drive along the Cabot Trail, atop cliffs and into tidal basins, through picturesque fishing villages, is mesmerizing. While most visitors stick near the coast, adventuresome outdoorsmen willing to venture into the interior’s wilderness are rewarded with a truly exotic ecosystem. The populace, largely Acadian and Celtic descendants, are a fun-loving lot, this correspondent recalling a square dance during the Celtic Colours festival that left him breathless, though more from laughing than from dancing. My inaugural visit to Hilton Head Island occurred over Spring Break 1989, during a nautical voyage aboard a 31-foot Tiara with a quartet of drunken frat brothers. While the trip itself was a blur, I will never forget strolling through live oaks around the glorious Harbour Town marina—anchored by its iconic, candy-striped lighthouse, music humming, giddy children running everywhere—and thinking to myself what a special place this must be. Later I would live and work on the island for a decade, and be blessed to welcome a son and daughter into the world there. Fortunate, too, to play some of the finest golf courses in all corners of the globe, I’d say the majority of my most memorable rounds were contested over Hilton Head’s many world-class venues. Eventually drawn back to my native North Carolina, I now nod appreciatively at people’s disbelief over leaving a place like Hilton Head, knowing that we never really left. An unquenchable love for this idyllic island paradise forever makes it home away from home. Friendly people, beautiful beaches, smooth rum, fine cigars, lots of sunshine, and spectacular seaside courses—there’s a lot to like about the Dominican Republic, which occupies the eastern two-thirds of the island of Hispaniola. A big, agricultural nation with the tallest mountains and deepest rivers in the Caribbean, the D.R. is led by its premier resort, Casa de Campo, which showcases 63 holes of Pete Dye-designed golf, including Teeth of the Dog, his hand-built masterpiece. At Puntacana Resort, the Tom Fazio-designed Corales Course (above) brings players to the brink of the wave-pounded shore at six holes, concluding at a massive par 4 that makes a hairpin turn along the rocky coast. At nearby Cap Cana, Punta Espada (“Tip of the Sword”) has eight holes pressed to the edge of a scalloped coastline washed by the turquoise-blue sea. It’s Jack Nicklaus’s best design in the tropics. 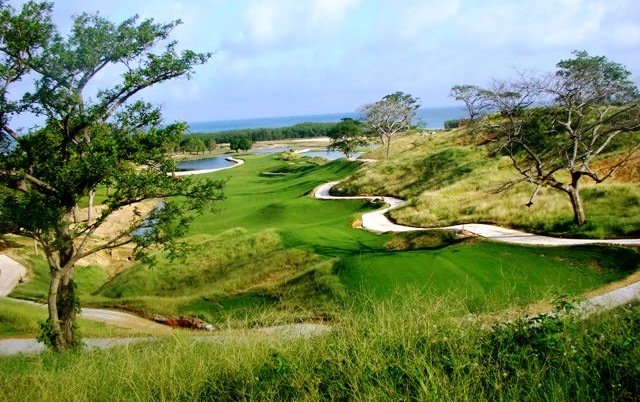 On the north coast is Playa Grande, a majestic layout by Robert Trent Jones, Sr. with 11 holes perched on bluffs and headlands 100 feet or more above the foaming sea. There’s a word for an island with four courses this good plus free meringue lessons on the beach: Paradise. 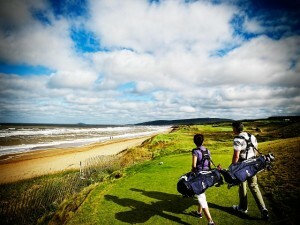 Islands usually mean beaches (and often surfing and snorkeling), beaches mean sand, and sand very often means links golf. All of which recommend Australia as the biggest and best golf island on the planet. Not to mention the chance to climb the Sydney Harbor Bridge, pub crawl in The Rocks district, tour wineries in the Barossa Valley, and have even more fun in Melbourne and Adelaide. En route, play famous Alister Mackenzie layouts such as New South Wales, Royal Melbourne (West), Kingston Heath (Mackenzie did the bunkering and redesigned the 15th hole in 1926), and Royal Adelaide (designed by Harry Swift and H.L. Rymill but Mackenzie advised on the design later on). It may be true that no man is an island, but Mackenzie put the island of Australia high up on the world golf map. Enjoy some of the best island golf courses anywhere and keep an eye out for Tom Hanks talking to a volleyball. I’ve always loved Maui’s warm waves, balmy beaches, and sitting there with a cocktail and watching the sun drop into the sea. My wife and I married at Napili Bay, which in our corporate years was the favored vacation spot. Invariably, though, I’d grow edgy after five or six days with thoughts of work. However, when I took up golf in my mid-40s, time on Maui changed. Playing golf was exactly what I needed to keep the vacation fresh, especially on Kapalua’s Plantation (above) and Bay courses, and the wonderful and affordable Dunes at Maui Lani, a links that follows the topography of unspoiled and totally natural sand dunes. 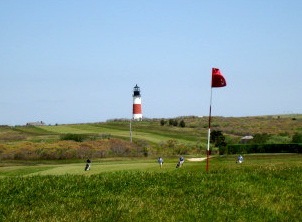 Golf Digest called The Dunes one of the nation’s four “best-kept secret golf courses.” I agree. You don’t have to be a Prince and your name doesn’t have to be Edward to love Prince Edward Island, Canada. It’s my favorite golf island and in 2011 was named the “World’s Best Undiscovered Golf Destination” by the International Association of Golf Tour Operators. Located on the Eastern Coast of Canada, PEI is nestled between the provinces of New Brunswick, Nova Scotia, Québec, and Newfoundland in the Gulf of St. Lawrence. Canada has some fantastic golf courses and 10 of its “Top 100” are in PEI: That’s enough seriously good golf to satisfy anyone. The courses vary from classic to modern and from coastal to hilly. In all, there are more than 30, and with the friendly people, fantastic fresh food, gorgeous landscape, interesting culture, and an easy, safe, and convenient pace of life, PEI makes for a superb golf island. Sardinia’s climate is congenial, its coastline incomparable. Its cuisine combines the bounty of the sea with the culinary complexity of its history. The Carthaginians, Phoenicians, Greeks, Romans, Normans, Moors, Venetians, Spaniards…every great Mediterranean power has left its imprint on Sardinia. Scotland, too, when the Aga Khan built a Robert Trent Jones golf course called Pevero, nestled in a pair of valleys along the soigné Costa Smeralda, in the 1960s. 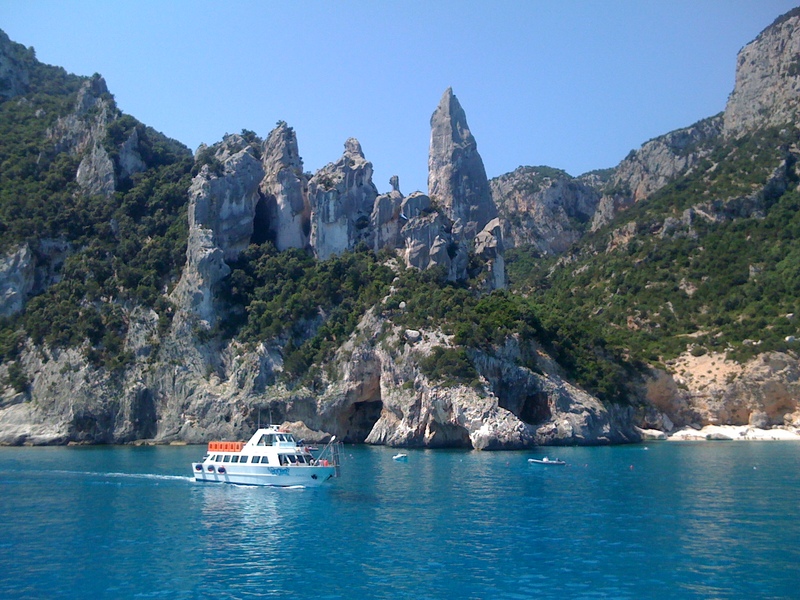 Since then, two excellent resort courses—Is Arenas, on the central west coast, and Is Molas, near the island’s largest city, Cagliari, in the south, where the Italian Open has been played—have confirmed Sardinia’s potential as a great golf destination. Each is worthy of a visit, but they are not close enough to one another to make golf alone the focus of a Sardinian holiday. There is so much else to compensate, however, for this relative scarcity of golf. Its wines date from pre-Roman times, and the modern vineyards produce everything from the great white denomination Vermentino di Gallura to Cannonau, the famous red wine from Alghero. Sardinia’s golf courses are a petite but tasty hors d’oeuvre to the banquet that is Sardinia. In June 2008, Pacifico was named the number-one golf course in the world by the readers of Condé Nast Traveler. Pacifico, one of two Jack Nicklaus Signature courses at the Punta Mita Golf Club, boasts 19 fairways and the world’s only natural island green. To play this signature “Tail of the Whale” third hole (known on the scorecard as 3B), you must carry your drive about 180 yards across the Pacific Ocean. In low tide, if you haven’t made an offering to Neptune, walk over a rocky ocean-floor pathway to putt. Nicklaus describes 3B as “probably the best par-three I’ve ever designed.” It’s a memorable hoot. Less adventuresome swingers can opt to play the alternate landlocked, 3A. For most kids, the first time away from home is summer camp. Me? I flew halfway around the world to represent Detroit in a cultural exchange program with sister-city Toyota, on the main island of Honshu in Japan. International diplomat and world traveler at age 16. Golf ambassador, too, once my hosts figured out this tall American girl could play, despite the need for men’s clubs and shoes because women’s equipment was too petite. Invited to play “gorufu” at both public and extraordinary private clubs as the guest of nationally prominent people as well as the local Toyota Rotary Club, what I remember most was the incredible beauty, absolute cleanliness, and impeccable conditions at each facility. Women caddies covered from head to toe with jumpsuits, hats, and gloves, and loaded with tools and seeds, followed closely; they clipped, gardened, and giggled as I continually outplayed the men. That island holds me captive, still, 40 years later. Golf’s grandest island is its smallest, a whopping 3,912 square feet down mid-Atlantic way. Amateurs love the isle, gladly paying several Hogans a pop to commit felonious acts on Old Man Par and feed it more than 100,000 balls each year, or nearly three per player. The pros who play for third-place checks that surpass the cost of 100,000 really good golf balls at on-course prices hate it. Whiners. 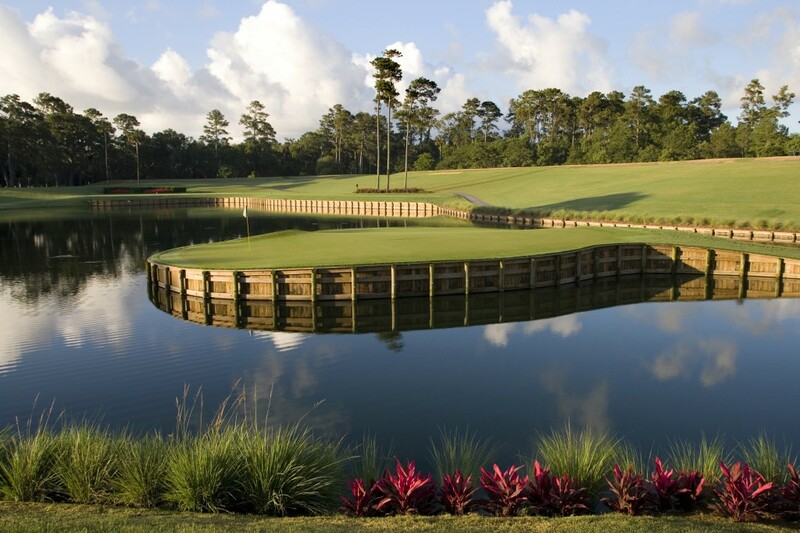 Yes, #17 at TPC Sawgrass, the dreaded wedge-over-water nib of a hole with a green that’s 50 percent larger than the average American house. Think about it. That’s a huge target. Could you stroll down the block, fire a wedge at something far larger than your house and hit it? ALL. THE. TIME. Apparently not the pros, one-third of whom rinsed it in the first round in ’07. I’ve hit the green every time I’ve played Sawgrass. Take that, Alice Dye. I’m 100% three-jacking, too. I feel for you, David Toms. My favorite golf island is The Island of Misfit Toys. Like in the classic “Rudolph The Red-Nosed Reindeer,” that is where my family must go before delivering the worst golf-related Christmas presents possible. Like the year they bought me an Alien wedge after they saw an infomercial that told them it would help me get out of any sand trap. Apparently a scratch golfer can’t get out of any sand trap. Or when I unwrapped a GPS yardage rig, but they weren’t aware that it cost $15 to download every course: A pony would have been cheaper. Or perhaps the year they bought me plastic iron-head covers. Apparently I was just not a big enough geek already. But I love these issues from the Island of Misfit Toys, because as long as my presents come from there, my family concedes I’m still going out to play golf as often as I can. An extraordinary adventure awaits the golfer in Iceland. The majestic landscape is unlike anything else in the world, stretching from the beautiful coastline to magnificent highlands. There are great fishing rivers, open-air geothermal swimming pools, and the semi-wild Icelandic horses. Also an event not to be missed, the Arctic Open. 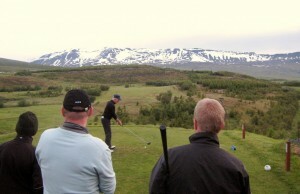 Held in close proximity to the Arctic Circle, in Akureyri, the tournament is played near the end of June under 24 hours of sunlight at Akureyri Golf Club, recognized as the planet’s northernmost 18-hole club. Players tee off from early evening and throughout the night, with a post-round beer awaiting at 4 or 5 in the morning when the town is alive and in full swing. Locals, as well as pros and amateurs from all over the world, enjoy a huge celebration dinner and awards ceremony the following evening. This year’s Arctic Open is June 28-30th. I’ve never traveled quite so far to play golf, but I would gladly drop everything for another visit to the North Island of New Zealand. The courses are world-class, with the modern marvels Cape Kidnappers and Kauri Cliffs both making all the top-100 lists, as well as Dr. Mackenzie’s Titirangi and Paraparaumu Beach, a true links. But travel halfway around the world and there has to be more, which there is: outstanding food and local wines, history, Maori culture, and great city life in Auckland and Wellington, with its youthful/San Francisco/coffeehouse vibe. Plus, there’s another draw to this sports-mad isle—its sister island, the South, which has its own outstanding courses and culture, plus some of the most spectacular landscape anywhere. “The Turtle” is the 15th hole at Sweetgrass Golf Club in Harris, Michigan. This gentle par 3 has an island green that’s surrounded by a bed of rock outcroppings to obscurely resemble a turtle sunning its back in the Upper Peninsula’s cool, clear waters. The hole’s nickname spiritually connects the Island Resort, where the course is located, with Potawatomi Indian legend that holds the turtle and its wisdom in high esteem. The 15th green is an easy reach—125 to 168 yards. When I played at Sweetgrass, my game was anything but up and in, until I got there and easily popped my ball onto the green. My teammates, far better golfers than I am, struggled with this little turtleback, however. One landed in the water; the others were off the green. It was a bonding moment for me and The Turtle. At 118 miles it’s the longest island in the contiguous U.S., and the biggest: By size, Long Island is larger than Rhode Island; if it were a state its 7.5 million people would rank it 13th in population. It also packs in two major airports and five U.S. Open sites. (No points for naming Bethpage Black and Shinnecock; a tip of the cap for coming up with Fresh Meadow, 1932; Inwood, 1923; and Garden City, 1902.) To me, it was just home, a fence separating us from the third hole of the Hempstead Golf & Country Club, where my parents were members. This partial Tillinghast design was my young playground, and where I developed a love/hate relationship with the game. By the time I’d moved to Vermont, I discovered it was all love, and returning to the old course years later to play with another born-again golfer—my brother—was one of the finer things I’ve ever done. Fishers Island, with its fantastic Seth Raynor golf course as well as the delightful nine-hole Harbor layout, holds a special place in my heart. So, too, does the Scottish Island of Islay with the fabulous Machrie Golf Links and nine distilleries producing the distinctive peaty whisky. Standing alongside those two is Aquidneck Island, Rhode Island, which most people don’t realize is not connected to the mainland. It is there that you find the city of Newport as well as Newport Country Club and the long gone, but not forgotten, Ocean Links. Raynor had a hand in both, designing Ocean Links with Charles Blair Macdonald and working in an unknown capacity at Newport: a copy of his bill still exists. I’m drawn to the island as much in winter as in summer. 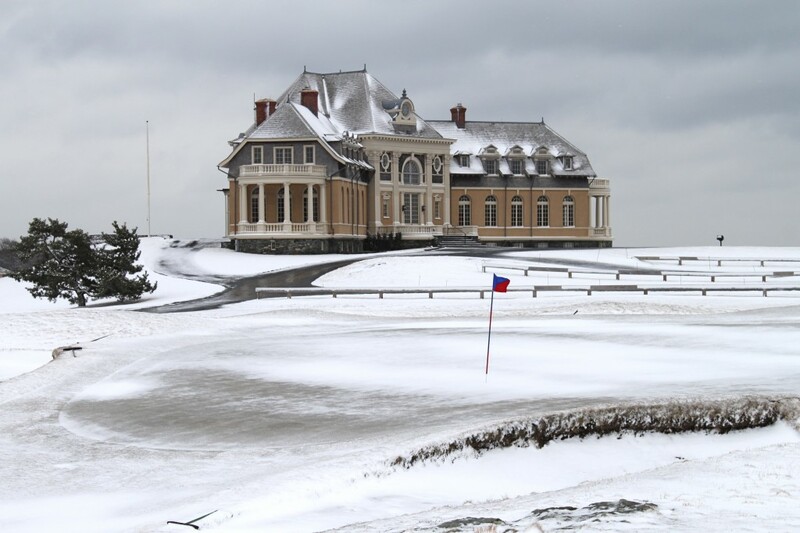 It is then with the bare trees and stark undergrowth, the Newport layout perhaps dusted in snow, that I can more easily find remnants of Ocean Links as the empty Newport clubhouse all the while stands sentinel on my search. Corsica—”L’Ile de beaute” (the island of beauty)—is a fabulous destination with plenty to offer, including a great Robert Trent Jones Sr. track, Sperone Golf Club. Napoleon was born there in 1769; I’m guessing he never envisioned a breathtaking golf course being built on the southernmost tip a few hundred years later. I was fortunate to have taught there for several seasons and recall how my jaw dropped when I first set sights on the property. The back nine tastes of Cypress Point and Pebble Beach, but with a Mediterranean aroma. If the tee shot on the par-five 16th isn’t intimidating enough—the tee box is located next to a mini-lighthouse—hop on a boat in Bonifacio (after sufficient sightseeing in this spectacular cliff-top town) and make the trek to Santa Teresa in Sardinia through the dreaded “Bouches de Bonifacio.” That little excursion, like the aforementioned tee shot, is not for the faint of heart. 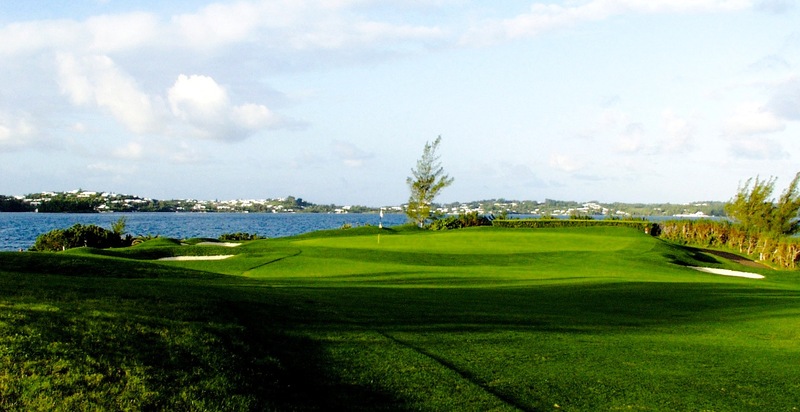 It’s smaller than Cape Cod, but Bermuda is big on beauty—and golf opportunities. The island boasts eight golf courses and you can play any of them if you make the right connections. The Mid Ocean Club is the star of the show. Designed by C.B. Macdonald and Seth Raynor, it’s a classic track with one good hole after another. Port Royal is another favorite. Recently remodeled, its par-3 16th hole that plays over a corner of turquoise water is unforgettable. Then there’s a course that I think is underappreciated: Riddell’s Bay (left), a Deveraux Emmet design with great bunkering, lots of doglegs, and a nice, laid-back feel. 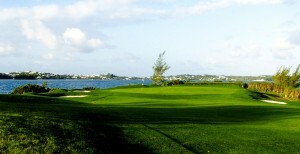 The par-3 course at the Fairmont Southampton is a fun place to spend an afternoon, too. A few years from now, the island may have even more golf if the Morgan’s Point resort comes to be. Make sure to enjoy a Gosling’s Dark & Stormy while you’re there.